Modern endoscopic medical equipment allows you to inspect the internal condition of organs and to carry out necessary medical manipulations. So, in diseases of the lungs bronchoscopy is used to identify pathology with more than 95% accuracy. 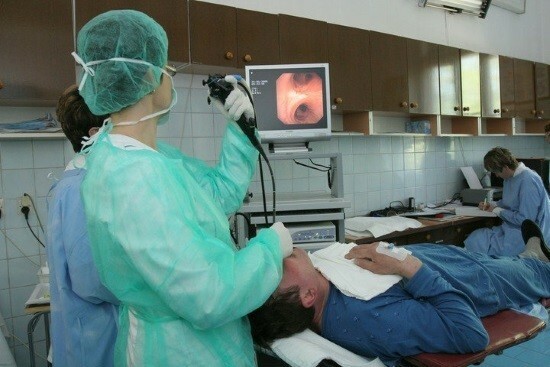 What is the procedure for what and how is bronchoscopy? About this article. What is a bronchoscopy? 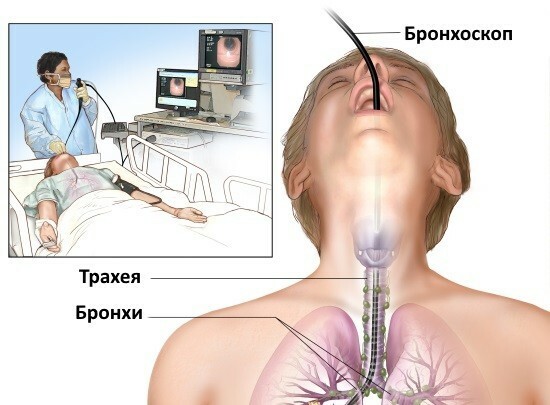 A method of diagnosing respiratory tract (trachea and bronchi) by oral introduction of special endoscopic instrument, fiber optic. The study provides an opportunity to assess the condition of the mucous membrane of the respiratory tract with the purpose of diagnosis. In the process of examination of possible removal from the lumen of mucous or blood concentrations. Method helps and, if necessary, application of drugs directly to the damaged area of the mucosa. 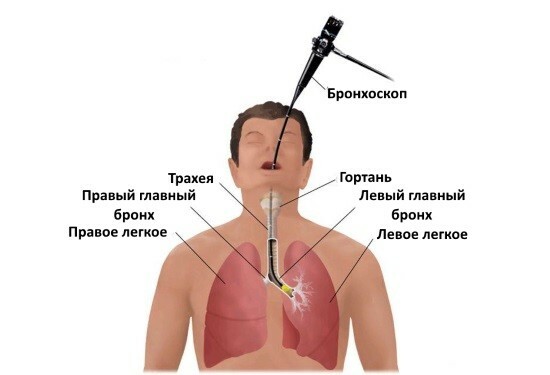 It has also conducted a bronchoscopy of the lungs, when required bronchial lavage with antiseptics (sanitation), for example, with abundant separation of pus. the upcoming surgery, and others. Conducting bronchoscopy requires prior anesthesia. Anesthesia may be local or General. When using rigid bronchoscope diagnosis of children or adults with unstable mentality or increased anxiety General anesthesia is used. Local anesthesia is carried out by spraying the oral tissues, ligaments and other structures of anesthetic. After this treatment, the patient feels a slight stuffy nose, lump in throat, he has a cough (possible vomiting) and problems with swallowing. Diagnosis of the lungs by bronchoscopy requires an extra step. Mandatory before its implementation need to do an x-ray and electrocardiogram. You will also need to be tested for detection of urea and gases in the blood. The patient should inform the doctor about the presence or absence of diseases of the cardiovascular system, diabetes, the fact of taking medications (especially hormonal). Bronchoscopy is done on an empty stomach, so eating should be only the night before diagnosis. Directly before its implementation is not allowed to drink even plain water. You will also need to remove from the face and oral cavity items such as piercing, braces, dentures. How to do a bronchoscopy of the lungs? In about 40-50 min before the patient is put injection sedatives and vasodilators, and a half – hour aminophylline to relax the muscular fibres of the bronchi. At the beginning of the action of General anesthesia or local anesthesia, the doctor proceeds to the examination. The patient while lying down or sitting. Specialist inserts a bronchoscope through the oral or nasal cavity, and then produces the examination or doing the necessary manipulations. The duration of bronchoscopy is about an hour. READ Fluoroscopy and chest x-ray: what is the difference and which is better? After the procedure is completed, the patient is instructed to rinse the throat or take other means to eliminate the irritation and normalize feelings. Banned immediately after drinking or eating. You should wait for the normalization of gag and swallowing reflexes. This may require from one to several hours. The pain and discomfort, difficulty swallowing or speaking to pass after a while. Diagnosis postpone to a certain time in the case of menstruation, infectious inflammatory processes (acute), pregnancy (second half). How is bronchoscopy in children? In the diagnosis in children is most often used General anesthesia and a special children’s bronchoscope. Because in childhood there is a possibility of edema of the bronchi, in advance, prepare the necessary equipment to carry out artificial ventilation. After bronchoscopy is shown taking antibiotics. READ Ultrasound at 3 weeks pregnant: how and when do? What can be the consequences of bronchoscopy? The last bronchoscopy procedure very rarely (less than 1% of cases) leads to the appearance of complications. In this period mainly concerned about human feelings such as slight numbness of the nose or throat, but the next day they usually are. If there was the slightest sign of complications, measures to prevent or eliminate spend immediately, in the office of diagnosis. 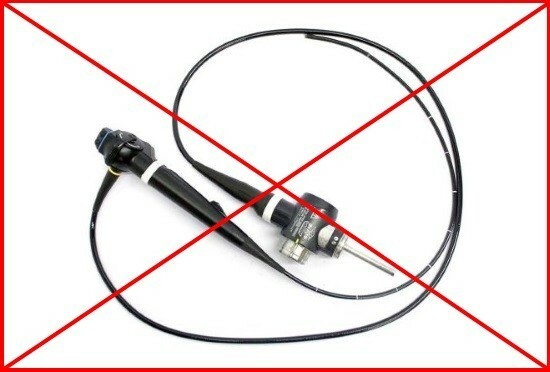 In any case, the diagnostic value of bronchoscopy is much higher than the risk of negative consequences.